Gold medals at stake in the relatively recently introduced category for players with an intellectually disability; on the late afternoon of Friday 19th May at the 2017 World Para Team Championships in Bratislava it was success for France and Russia. In group organised events, the French combination of Lucas Creange and Antoine Zhao secured the Men’s Class 11 title; the success being achieved as Russia’s Elena Prokofeva and Maria Galkina emerged as the Women’s Class 11 champions. Elena Prokofeva and Maria Galkina concluded matters in the very same style as in the contests that had gone before; they beat the Hong Kong duo of Ng Mui Wui and Wong Pui Kei by two matches to nil. Imposingly the doubles was secured (11-2, 11-7, 11-7), before Elena Prokofeva beat Wong Pui Kei (2-11, 11-4, 11-4, 11-5) to seal the title. Hong Kong finished in second place but it was close. 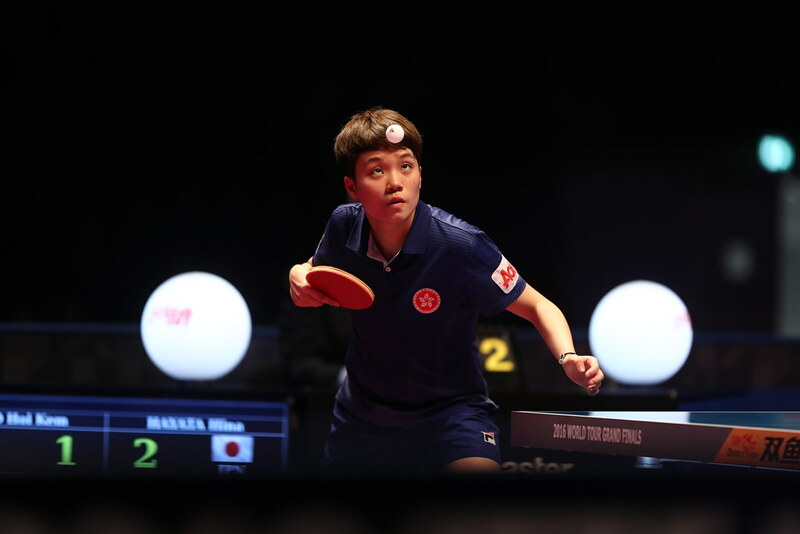 Earlier Ng Mui Wui and Wong Pui Kei had beaten the Japanese duo of Harumi Kimura and Yumi Ono by two matches to nil but had experienced a two-one defeat when facing the French partnership of Magali Rousset and Lea Fernery. Success for Magali Rousset and Lea Fernery but in opposition to Harumi Kimura and Yumi Ono it was a two-one defeat. Thus second place and the silver medal was decided on match ratio between the three teams who finished level. Hong Kong (3:2) gained the decision finishing ahead of France (3:3) and Japan (2:3). Meanwhile, in the Men’s Class 11 event, like Russia, France maintained an unbeaten record but the concluding match was a much closer affair than in the women’s competition. A two matches to one outcome was the decision against Australia. Rory Carroll and Samuel von Einem gave Australia the advantage by securing the doubles by the very narrowest of margins (14-12, 11-6, 8-11, 7-11, 11-9), before the French mounted a recovery. Lucas Creange accounted for Samuel Von Einem (11-7, 11-4, 13-11), before Anthony Zhao defeated Rory Carroll (11-7, 13-15, 11-8, 11-8) to conclude the engagement. “After winning the doubles, I thought we stood a good chance to win the match. Of course we are disappointed that we lost, but it is nice to see the French players improving. Lucas has upped his game a level since Rio, and they were just too strong for my players today.” Alois Rosario, Australian coach. Hong Kong, who selected from Wan Wai Lok, Leung Chu Yan and Tsoi Ming Fa gained second place. Earlier they had beaten Samuel Von Einem and Rory Carrol by two matches to one but against Lucas Creange and Antoine Zhao had experienced a two-nil defeat.